The user can easily recover Dial up passwords, Identity passwords, Asterisks (*****) character password, Auto complete passwords, Multilingual passwords, Lost or forgotten IE saved passwords list, Long and complex passwords for all Email accounts, Newsgroup accounts, Online shopping, Magazine subscription, Web forms, Search engine accounts, FTP Account etc created in all major versions of Internet Explorer. The software is based on GUI technology thus provides user a highly interactive interface for working so that the software can be operated easily by the user without any technical help. A user manual guide is provided with the software for helping the user while operating the software. 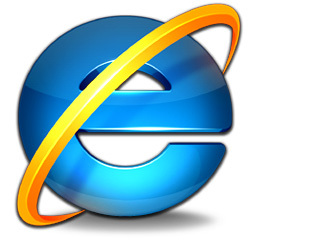 ◆ Reliable and secure password retrieval software recovers lost, forgotten, misplaced internet explorer saved passwords and unmasks all Windows Application’s passwords along with login id and the server information. 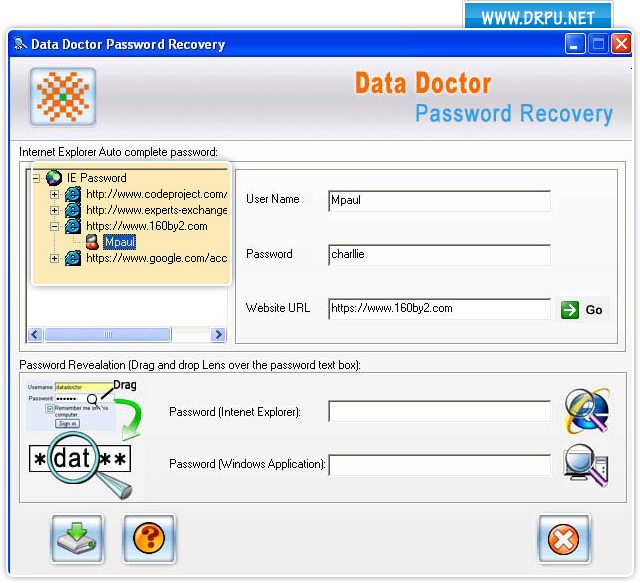 ◆ Provide accurate recovery of Identity passwords, Asterisks (*****) character password, Auto complete passwords, Multilingual passwords, Lost or forgotten IE saved passwords list, Long and complex passwords etc. ◆ Facilitate user by providing recovery of passwords of all Email accounts, Newsgroup accounts, Online shopping, Magazine subscription, Web forms, Search engine accounts, FTP Account created in Internet Explorer. ◆ Step-by-step user manual is provided along with the recovery tool for user’s guidance and support.